MakeUseOf reviewed another amazing tech gadget and they are giving it away to one of their fans! To enter in their latest Govee LED TV Backlight Giveaway grab your free entries by following few simple steps listed down below! 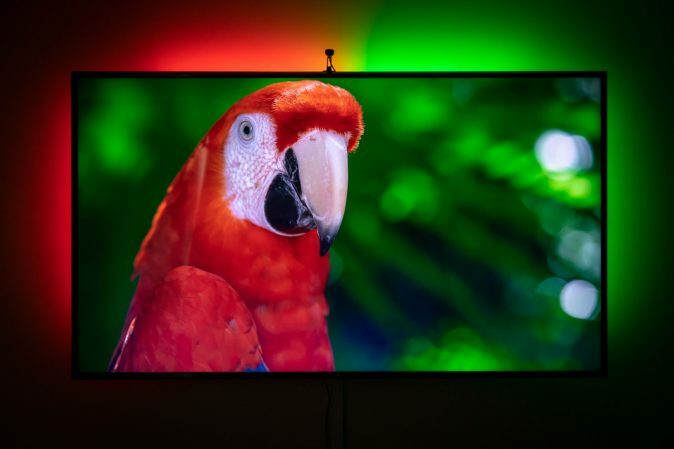 Adds a subtle TV backlight to your monitor, reducing the eyestrain caused by differences in picture brightness from scene to scene in movies, shows and games. Perfect mood light and can improve image clarity. Easily dim and switch the light with remote controller, you can also simply to turn on/off by press the button. 20 colors offer various atmospheres, provide you with the greatest experience. Can be mounted on TVs, PCs, home theaters or other display screens. Portable controller, no more accessories are required. LED strip light is 2m can be cut with scissors on the cut marks to fit the desired size of your TV. Use the 3m adhesive to attach to almost any surface, powered by any devices with output 5V 2A USB port. Just plug-and-play! Winner will be contacted by email and announced in the giveaway widget shortly after giveaway ends.